How many books to you remember reading from when you were a child? I remember probably 10, out of hundreds. And who doesn't remember reading Where the Wild Things Are? Unless you didn't read it, chances are you remember it. 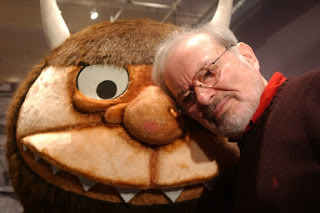 Maurice Sendak, author of that great tale, passed away this morning in Connecticut after suffering a stroke on Friday. He was 83. Condolences to his family, friends and fans.